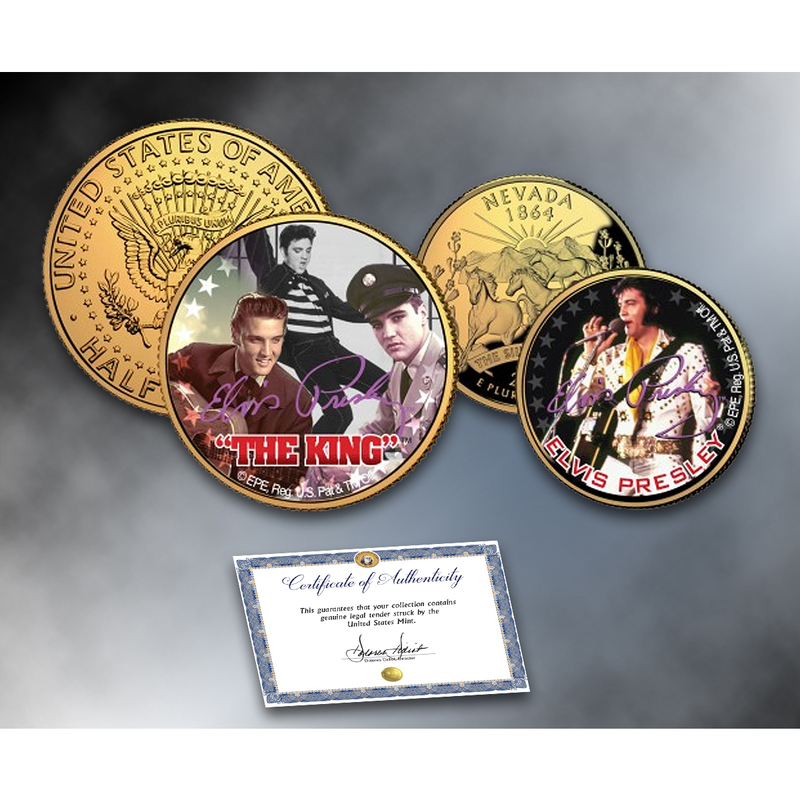 This Officially Licensed ELVIS PRESLEY THE KING 2-coin complete set is a treasured collectible, combining the popularity of Elvis Presley with coin collecting. 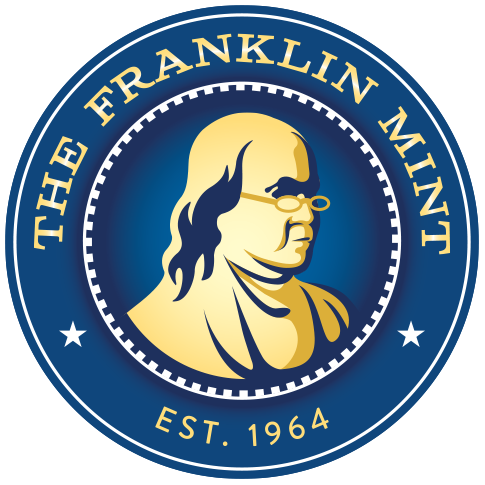 Coins are Genuine Authentic Legal Tender of the United States, which have been layered in Genuine 24 Karat Gold, and then beautifully enhanced with colorized images. The 2-coin set includes a “The King” 24-Karat Gold Plated JFK Kennedy Half Dollar coin plus an “In Concert” 24-Karat Gold Plated 2006 Nevada Statehood quarter. Colorizing coins involves the unique application of special inks directly to the surface of a coin that achieves a level of detail, color saturation, and durability that is #1 in the coin industry. The result is an everlasting colorized coin collectible of ultra-high quality. Each coin comes in a premium coin capsule. The set comes with a Certificate of Authenticity to guarantee that your coins are authentic and recognized by every monetary authority around the world, assuring its Collector Edition status.